Bengals Open To A.J. Green Extension? 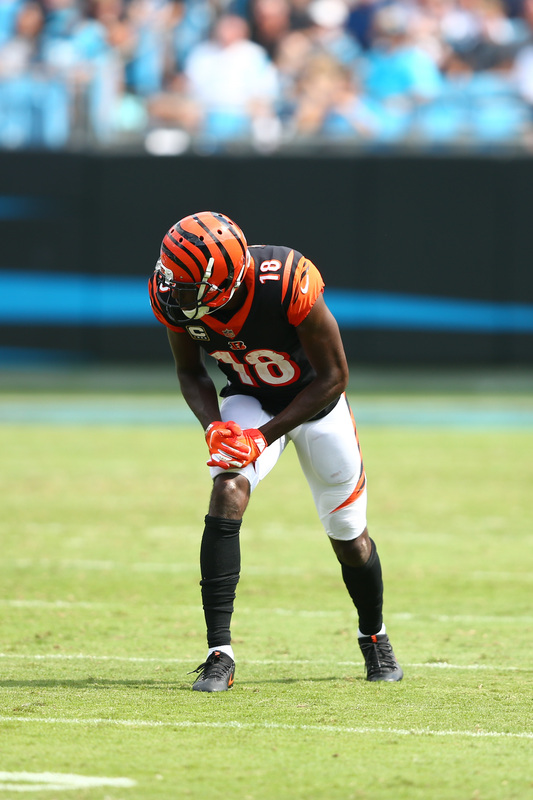 The Bengals sound open to an extension for wide receiver A.J. Green, as Fletcher Page of The Enquirer writes. However, that’s not the case for quarterback Andy Dalton. Health, of course, was an issue for Green last year. The perennial Pro Bowler saw his season end in early December, marking the second time in three years that his season ended on IR. Still, Green finished out with 46 catches for 694 yards and six touchdowns in nine games, numbers that put him on pace for his usually strong output across a 16-game season. Green has one year left on the four-year, $60MM extension he inked with the Bengals in 2015. Since then, he’s watched many other receivers leapfrog him in salary. When it comes to yearly salary, seven WRs rank ahead of Green: Odell Beckham Jr., Antonio Brown, Mike Evans, DeAndre Hopkins, Brandin Cooks, Sammy Watkins, and Jarvis Landry all earn more than Green’s $15MM/year average. Meanwhile, a new deal for Dalton sounds unlikely to happen anytime soon. Green should just try to get to FA. Or request a trade. Bengals should be able to get a nice return for Green while they are rebuilding. Sounds like the owner isn’t having that though. Is this a typo or did the Bengals owner really say it like that?